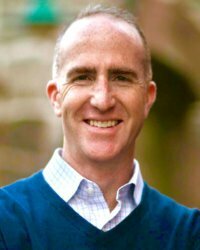 Adam “AJ” Jarnagin is a separated United States Air Force (USAF) service-disabled veteran and Founding Partner and CEO of EXPANSIA, a defense management consulting firm based in the Boston area. The firm is focused on advancing technology & technical services in support of our nation’s defense. For over 20 years, AJ has been a military and defense advocate focused on connecting the right people, technology, and successful rapid deployment and delivery strategies to support the acquisition of C4ISR, Space, and Cyber capabilities for our nation’s defense. AJ’s passion resides in bridging the Commercial, R&D, Acquisitions, and Operations communities to support common goals around our nation’s defense requirements implementation in an affordable and rapid way. His USAF experience began as a nationally-recognized and Air Force ROTC Distinguished Graduate from the University of Utah. AJ served at Hanscom AFB, MA as C4ISR Operations Requirements lead, Executive Officer, and Air & Space Operations Center International/Coalition Lead. After Space & Nuclear Operations tours, AJ separated from the service honorably with a service-connected disability. AJ was nominated as the Airpower Advocate for the nationally-recognized Air Force Association Paul Revere Chapter, and is currently serving on the Board of Directors of the Hanscom Representatives Association (HRA). He is proud to actively serve as a board member of New England’s nationally-acclaimed model chapter of the National Defense Industrial Association (NDIA) since 2016. AJ and his wife Tynel have four children and reside in Amherst, NH.